When I had the opportunity to review the mouse and the mole I was really excited for my kid's to watch this on Dvd. They really did love these set of video's and it captured their attention throughout the whole Dvd. I like the message in the stories about helping each other through the good times and bad times. And how it shows that friendship isn't always perfect. 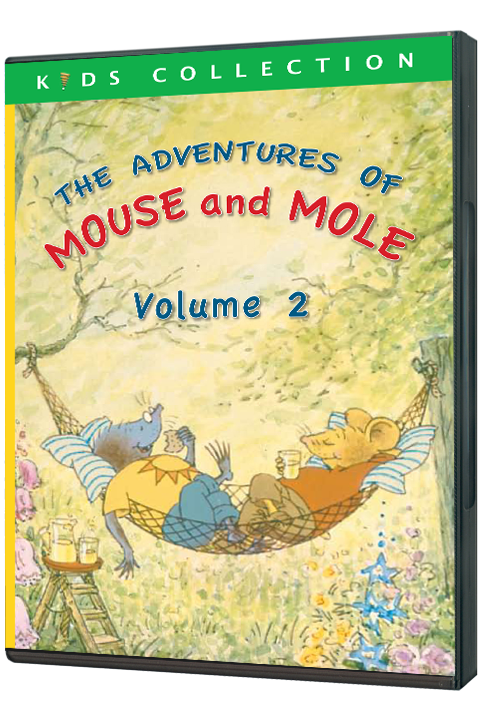 This series originally aired in BBC is a sparkling adaptation of Joyce Dunbar's classic stories about practical Mouse and capricious Mole. Mouse and Mole live together in a little cottage in the country. Mouse is practical and cheerful. Mole gets into scrapes and needs mollycoddling. Their everyday adventures appeal to adults and children alike. the charm of the stories lies in the endearing friendship of the two central characters and the humor of their exchanges. Your children will delight in the everyday adventures of these lovable companions as they help each other navigate through good times and bad. Each colorfully animated story playfully explores the joys and complexities of friendship. Bursting with warm humor from start to finish, these universal and timeless stories are a treat for the whole family. Based on these episode lists please request which volume you would like to review. Would you like to win a Dvd of your own?? Enter the Rafflecopter Below for your chance to win! !